(Newser) – Authorities say a baby seal made it 4 miles from the water to the front yard of a home in the San Francisco Bay Area, the AP reports. 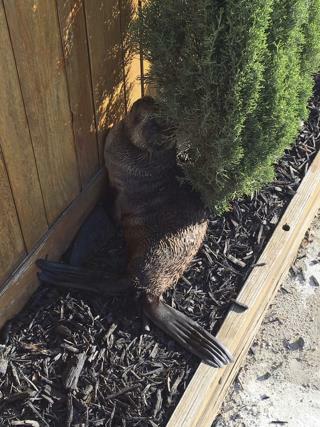 Rescuers nicknamed the seal Ozzie after she was found Thursday on Osgood Road in Fremont. The female northern fur seal had no visible signs of injury and was taken to the Marine Mammal Center in Sausalito. So, a baby seal walks into a club..